The recently turned 15 years old pinay singer was now part of the top 4 candidates of the Australia's edition of "The X Factor. Marlisa Punzalan is getting closer to her dream as she got one spot in the Top 4 on Monday, October 6, 2014. After she got a standing ovation last Sunday night singing the Sia club hit "Titanium," Punzalan second performance in the episode themed "Killer Tracks and Curve Balls" was a rendition of the classic "Over the Rainbow." 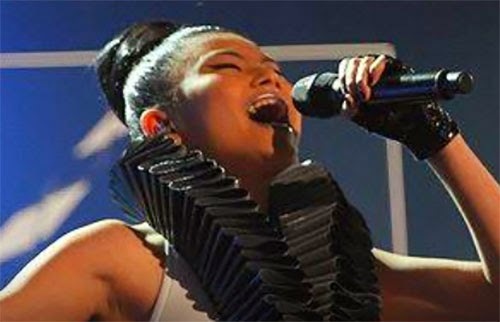 With a good strike and strong outing, Punzalan was not eliminated on Monday, she was one of the three candidates on top 4 of X Factor Australia series 6. "Wow Top 4!!!!!! MASSIVE Thanks to ALL who voted, supported and brought me one step closer to my dream!!! Thank you so much, I am still standing because of you and your unbelievable efforts! I am so blessed, cannot find the words to tell you how happy I am!! Thank you so very much to you all. God bless and much Love!!! Marlisa." Marlisa Punzalan mentor and advisor is no other than Ronan Keating. If you like to download and listen the latest of her track, you may visit her iTunes account for more details. For more Marlisa Punzalan related information, kindly bookmark this page and share to your joined social networking sites. Comments or suggestions about "Marlisa Punzalan move to Top 4 spot in X Factor Australia" is important to us, you may share it by using the comment box below.